An aspiring photographer develops an intimate relationship with an older woman in 1950s New York. Presented in partnership with Iowa City Pride! 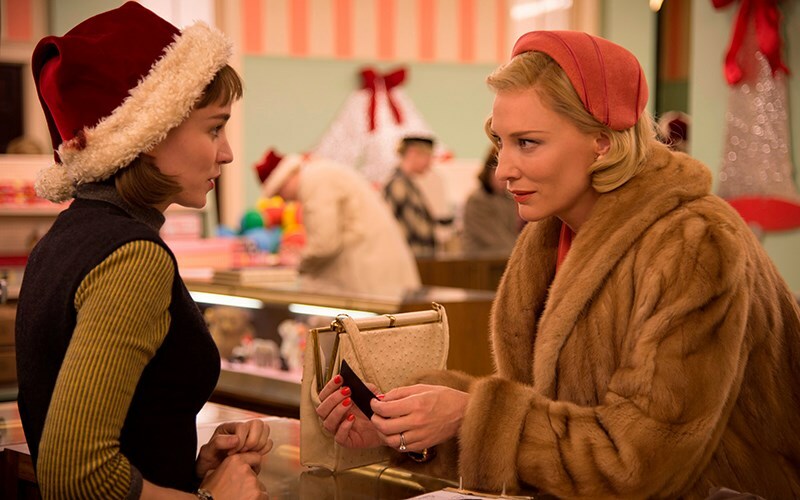 Therese Belivet (Rooney Mara), spots the beautiful, elegant Carol (Cate Blanchett) perusing the doll displays in a 1950s Manhattan department store. The two women develop a fast bond that becomes a love with complicated consequences.